Over the past year, I have been asked what my Podcasting Studio consists of, and I’ve been quite happy to explain – anything to keep the medium of podcasting going. Normally, I’d write off these HUGE emails back explaining everything, but today I thought I’d start this page to openly show what I use, in the hope that it will help [or freak out] anyone else who is interested in podcasting and going to the next stage with their studio setup. Please be aware this is MY podcast studio. This is NOT the correct, or the only answer to the ‘problem’ – but it does work for what I need. This is a LIVING page – meaning that as and when I update my studio / change sometime to make it better-er, I’ll place it on here asap. If you have got any questions, or I haven’t explained something clearly enough – please contact me! Primarily built and designed to create podcasts ‘live’ without any editing (in theory), StudioRack is a beast-of-a-soundboard. Previously, I would record everything in Audacity – starting and stopping to add jingles and music as I went – which meant it would take up to a hour to make a 30 min show. What was more painful is if / when Audacity crashed, and I’d have to start the whole episode again (as the saved file would become corrupt sometimes). On the website for StudioRack, there are two versions… StudioRack Audio, and StudioRack Pro. The ONLY difference is that StudioRack Pro can produce video shows. I would suggest ONLY downloading StudioRack Audio, and if you wish to produce a Video version of your show, to use VidBlaster – the ‘newer’ Bigger Brother of the StudioRack project. [On Mac, if you wish to create a video stream, check out CamTwist. Exactly what it says on the tin! This is a cheap [FREE!] streaming software that I use to get my sounds out to the world. It is an Open Source project. Very simply add your username, server and password under the settings – you can choose the bitrate and samplerate of the audio going out (the quality, all depends on the server you are connecting to), whether you want to broadcast in mono or stereo, EVEN to auto-record the broadcast locally on your computer (when you go LIVE) if you want to. When it is your time to go live, just hit the play button! Nice thing about B.U.T.T. 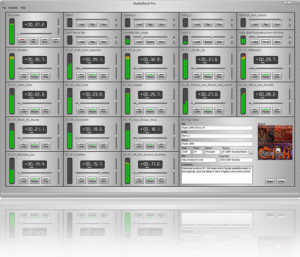 is that you can setup multiple servers if you produce different shows at different times. The downside is that you are not able to connect to multiple servers at the same time. Obvious really. To make the show work ‘as well’ as it does, we use several different ‘bolt-on’ packages from Skype, namely Skype In [for the two UK and USA phone numbers] and Skype Out [to be able to phone calls out]. Since Version 5+ of Skype came out, some listners might have noticed a Skype echo. This only effects Windows PC Users! After several days of endless googling, it finally became obvious why this was: Skype 5[+] is too bloated. Basically, it is a resource hog on your computer, and so it gets confused when it is trying to send and receive the audio during the call. It cannot compress the information quickly enough, and so all members of the call can get an echo. To combate this, all the machines in the studio have been downgraded back to Skype 4.2.0.187 – which is the last version before series 5 started. Even though YOU may have the Skype 4.2.0.187 version installed on your system to create your show, please be aware your guest / co-host will ALSO have to obtain old Skype – or they will be affected with the dreaded Skype echo locally themselves. Another obvious one really. Any pre-recorded interviews or quick edits to sounds / jingles I need to make, this is the software I use to make them. Overall, a quick and easy program. 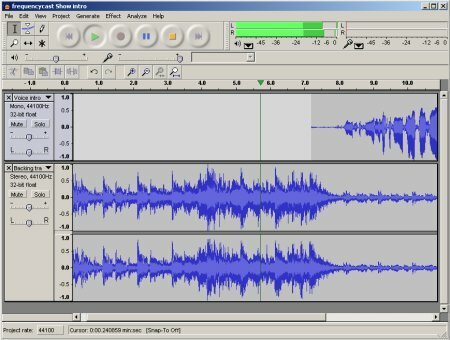 Audacity can crash randomly. Can be overally foolish in some of it’s operations. But as it is FREE, you can’t really grumble. AWESOME recent addition to the studio that just makes life that bit easier! Basically it is a magic folder. Whatever you put in that folder gets synced to all the PCs, Macs and Phones that you have given permission to access. It works like any other folder on your machine. Add any file, and it duplicates it. That simple. 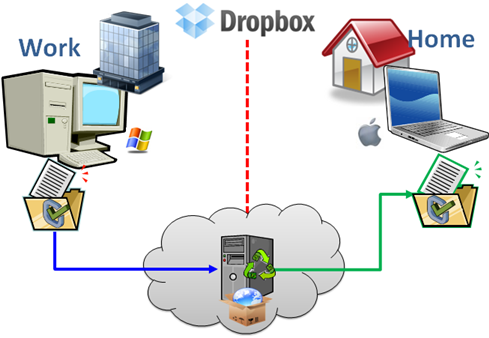 I have Dropbox installed on to all my computers. I find it is quicker and easier to move files in to the special folder on one machine, and let Dropbox do the hard work – instead of using USB sticks, burning discs, using floppy discs… You get the idea. 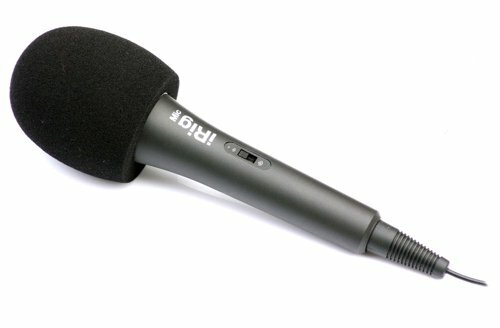 Each microphone has it’s own sound… Weird but it’s true. 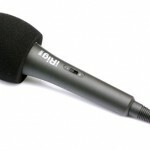 Depending on the type of mic you choose to use – it can give your voice a different characteristic – warmer or colder. Bigger or softer. 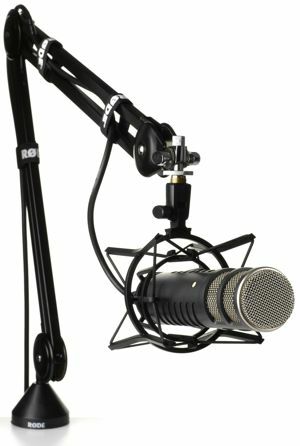 Some podcasters have decided to follow the trend set up Leo Laporte and purchase a Heil PR-40, without thinking about how their voice will sound through it… and as the PR-40 is about $300 / £260 – it is a rather large investment that might end up not being suitable for your voice. After watching a lot of comparison YouTube videos, where the presenters would demonstrate each microphone in sequence, plus they gave me a better idea of what I was “looking for” in the sound characteristics of microphones [make sure to watch them in HD for best sound comparison: Video 1 | Video 2], I decided to go for the Rode Procaster. There has been MANY times when my ‘very helpful’ neighbour has decided to cut his grass or do general LOUD gardening when I am live on-air, but no one listening would have known. The best way to describe the ProCaster is that it kind of works like a flashlight or torch [if you’re in the UK]. It only picks up sounds within a set region of space – or within the beam of light. It won’t pick much up from outside that beam – if at all. 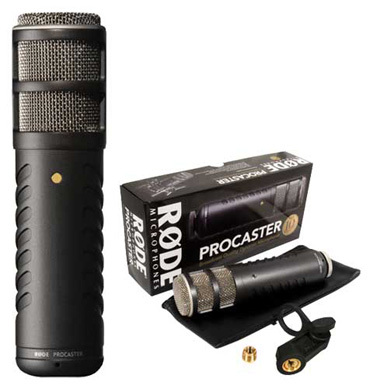 I honestly thought when I finally committed to purchasing the Rode ProCaster, I was buying a lower-par product – mainly due to the price [compared to MANY other microphones I was being suggested at the time]. Honestly, how wrong I was. To be honest, I feel the Rode ProCaster works well for my voice range, and the quality of what I am trying to produce. Also, while I was expanding my knowledge of microphones, I cam across a video by Ken Sparkes [who happens to be demonstrating a Rode ProCaster], who spoke about some interesting tips and hints about how to use a mic as an instrument instead of a tool to capture sound. Even if you decide not to get a Rode ProCaster, this video really helped me gain a better understanding of HOW to use a microphone properly [video]. Quite simple really. Anyway to stop any noise that is not wanted – proper stands and shock mounts are vital! The stand is known as a RODE PSA 1 Swivel Mount Studio Microphone Boom Arm – what a mouthful – or what is commonly known as a Microphone Scissor Arm Stand or a Spring Arm Microphone Stand. Once again, I decided to keep within the family of Rode products. The mic arm is very well balanced and easy to move / chuck out the way when the show is over. Right at the beginning of the show I used a heavy-duty USB powered desk mic [which I borrowed from Housemate Dave, and cannot remember what it is called at this time] – and going from a mic that is situated actually on the desk taking up real estate space, and a mic on a boom arm is like night and day. It makes you feel a lot more freedom for movement, a lot more relaxed and SO much cooler. 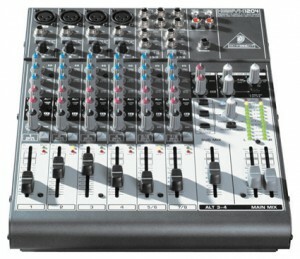 Yes, the Behringer Xenyx 1204USB is not the BEST mixer in the world, but for it’s money it is perfect. Basically, there are two levels of mixers, affordable – but have silly nipnip nobbly twisting things for your levels or, the slightly more expensive ones with actual faders like the Behringer Xenyx 1204USB. For my show, where I use a lot of beds and jingles, I need a lot of control over the sounds. For a show that was JUST talk with the odd piece of audio [theme music / quick jingles] where the audio can be preset and left, something like the Behringer Xenyx 802 is ideal. There is only one realy problem with the Behringer Xenyx 1204USB I am afraid, and for this I need to get a tad technical… There is a USB connection to the mixer, which is awesome for JUST sending sounds out to a computer. If however, you then want to take sounds from said computer from the soundcard and bring it back in to the mixer [to create in effect a loop], the mixer creates a high-pitch wine that you cannot get rid of. If / when I bring back doing the show via video stream again, this will not be a problem as I’d like to have a seperate computer that deals with the streaming of the show, and so just sending the audio to that machine via the USB connection is perfect. It is just something to keep in mind. 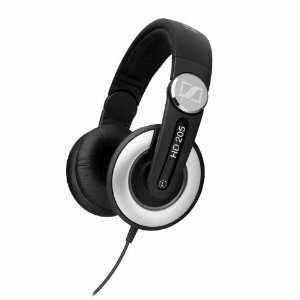 Once again, some nice affordable headphones. Have to say, very rich sounds. And to be honest, the Sennheiser HD 205-II Studio Grade DJ Headphones [as they are officially known as] are another one of those surprising purchases that have ended up being an awesome buy. Very clear, very comfortable [have been known to have worn them for about 18 hours without any issues], and the sound is crisp and clear. An awesome piece of kit – I have been continually impressed with the quality of recordings from the iRig Mic it is unreal. 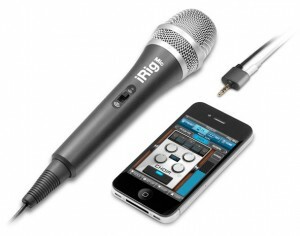 Specially designed for the iPhone / iPod / iPad family, the iRig Mic is supposed to be for singers who wish to record ‘on the go’ ideas. 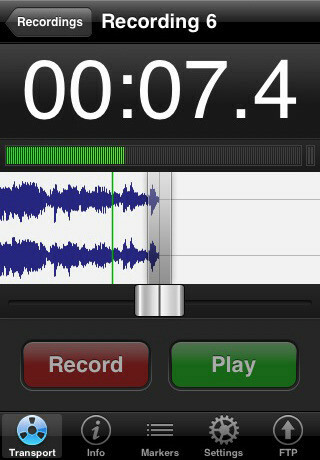 It has a built-in splitter so once you have your mic plugged in to your iPhone / iPod / iPad, you can then plugin your earphones / headphones to be able to hear what you are recording [iPhone 3Gs and above]. The iRig Mic has a three-way switch built on the metal body [it feels VERY expensive in your hand – unlike other mics that feel they have been made by fisher price], which you can choose how ‘sensitive’ the mic is: Very quiet rooms, what I call ‘normal’, or for very loud rooms – so the iPhone / iPod / iPad gets the best sound without being blasted out. While building the ‘out and about’ studio, I found a windshield that has been built for the iRig Mic [cause the silver bit of mic is slightly larger than ‘normal’ mics]. Continuing on with the iPhone / iPod / iPad family, I wanted to find an app where I could visually see what sounds were being recorded [as I have the iPhone 3G, and the official app to the iRig Mic cannot do live playback with my phone]. I finally found FiRe after a lot of research [seems to be one of those apps that is hidden in the iTunes listings] which does just that. It is something like $2, but for that you get exactly the same amount of flexibility you’d expect from a very expensive MP3 recorder that I was originally looking at. You can choose bitrates, file formats, set standard lengths for recordings, edit, blah blah blah [if you’re insteaded search for it]. It is an awesome piece of pixel kit – especially for the money! I just came accross your page. A very well chosen list of equipment. I’ve a couple of comments. 1) I’ve a Tascam DR-05 portable which will take an external input as well as using the built in mics.It also has a limiter which is useful. 2) The Behringer is a very neat piece of equipment and, in particular, the limiters on the mic channels are good. I’m surprised that the USB won’t work well in a “duplex” mode.